Robust, medium width, waxed flat quality shoelaces for all types of shoes with attached eyelets made from 100% cotton, width 4 MM. Colour is Dark Green. 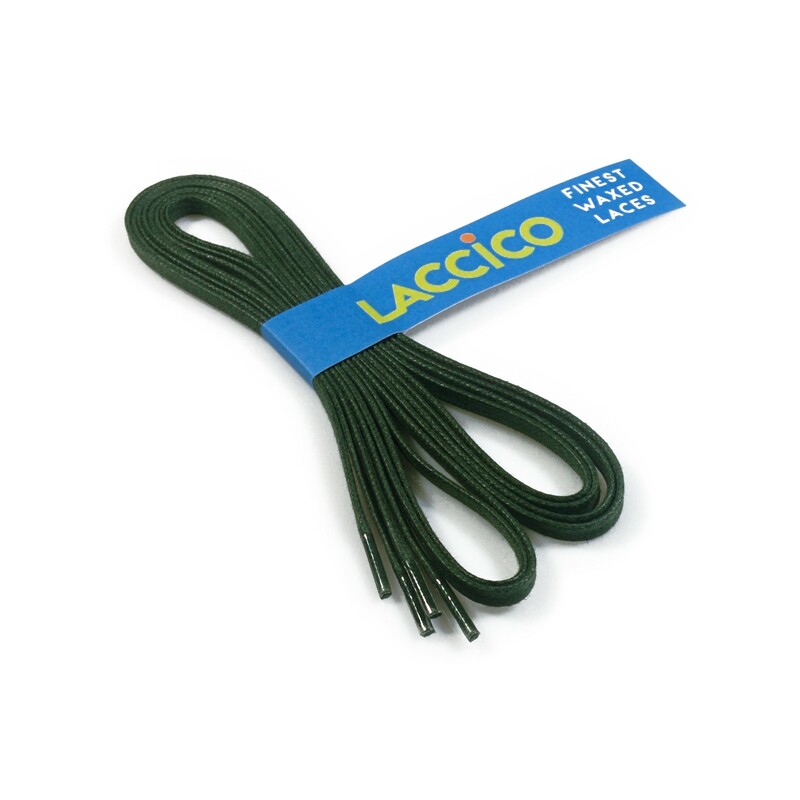 With LACCICO Finest Waxed Laces you get high quality shoelaces made in Italy. First-class workmanship, fashionable colors and the sustainable material make these shoelaces a price-performance winner. Our 4 MM wide LACCICO Finest Waxed Laces are the medium wide laces in the collection. 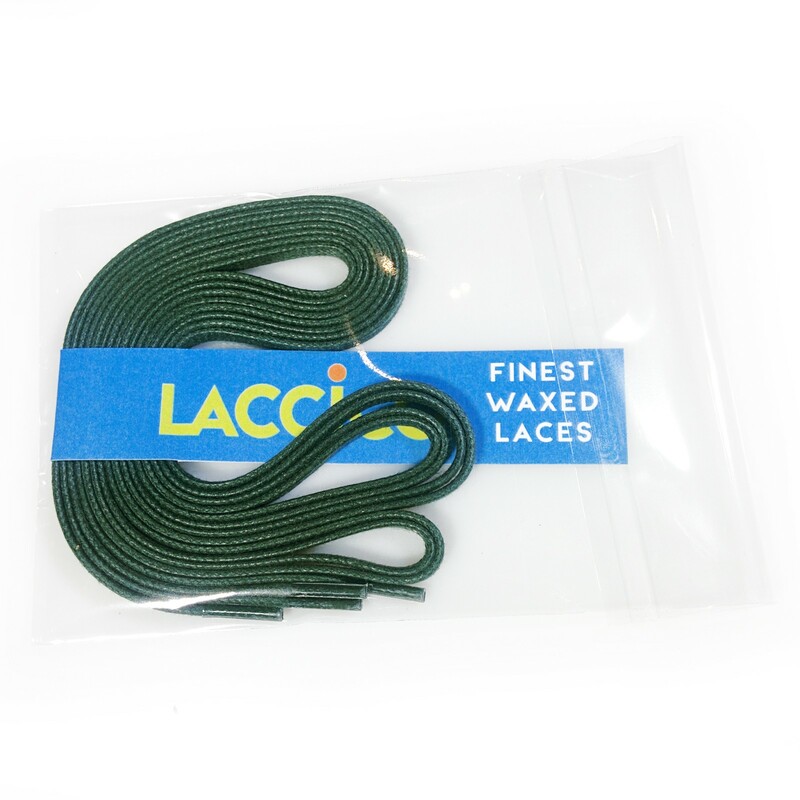 Flat waxed shoelaces with a width of 4 MM are suitable for all shoes with attached eyelets with an inner diameter up from minimum 3 MM and for those shoes with concealed loops. Just as you have them in sports shoes or in sneakers of all categories. 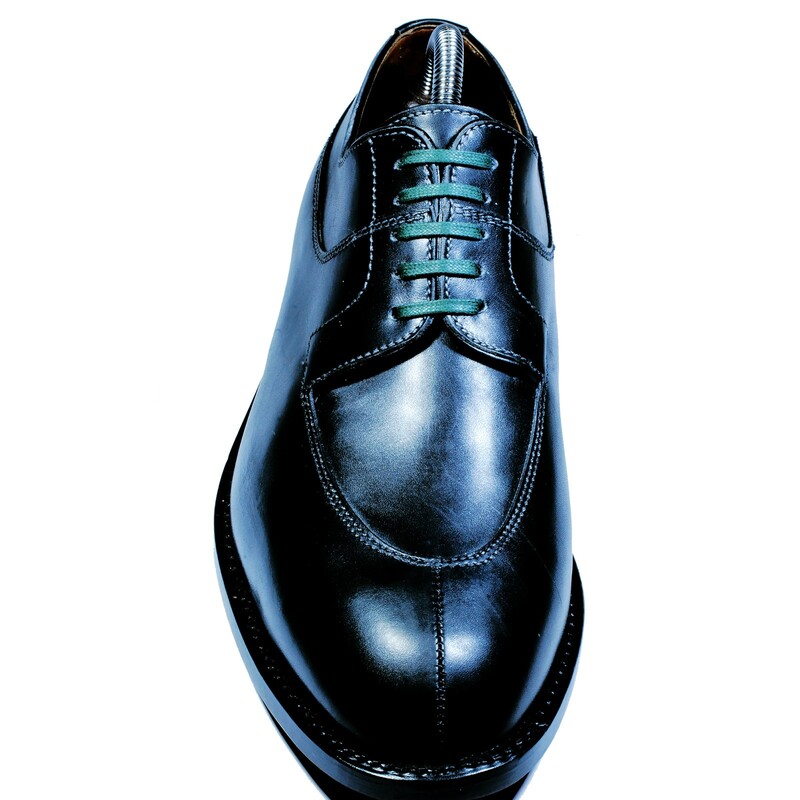 But also in classic shoes for men or women and even children. When eyelets are attached that means the eyelet-ring is visible on the upper material and the eyelet anchors are visible on the underside of the lacing strip. With a width of 4mm the laces of the model 0479C4 are the medium wide LACCICO Finest Waxed Laces. Medium width, waxed flat quality shoelaces for all types of shoes with attached eyelets or sewn bobbins such as derbies, sneakers and casuals. Whether for stylistic means or as a perfect substitute for shattered shoelaces. Available in all colors and lengths from 60 cm to 120 cm. • Excellent braided, 100% cotton Oekotex-certified Italian top yarn. Vegan, does not contain any animal ingredients. Also for Costume Choes, Dreby Boots, Country Boots and Wincap Brogue Boots as well as all shoes with attached eyelets and hooks such as Ankle boots. The inside diameter of the eyelet should be min. 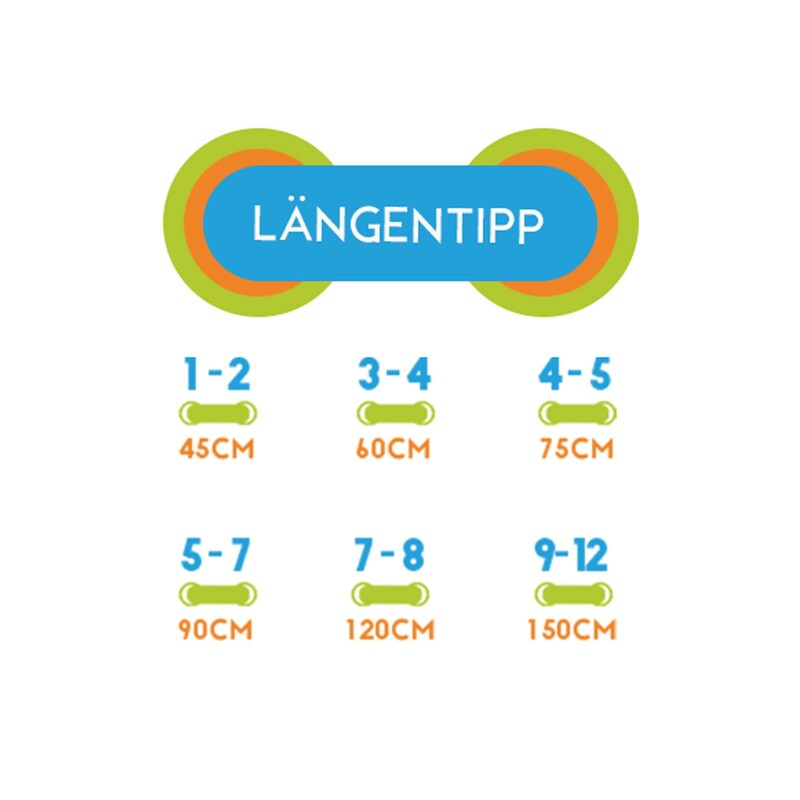 3-4 mm. Paraffin refined for high moisture and tear resistance. Short length are also very popular for children's shoes. No feedback has been given for DARK GREEN Flat Waxed Shoelaces width 4 mm.